So here we are, at our 22nd day into this pregnancy. I feel absolutely nothing … which still makes me wonder if there’s anything in there at all. Our bug has entered the scary ugly phase, as today marks the beginning of Carnegie Stage 10. I can’t wait for it to start looking like an actual baby, because this isn’t doing it for me! Our little alien bug is now 3 millimeters big! We won’t really see any significant changes now until Monday. 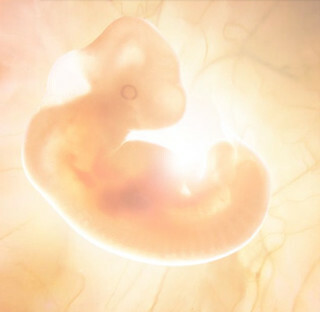 Next week, it will finally start to look like a tiny primitive fetus; instead of something of the insect variety … Definitely looking forward to that!